The collaboration between the Office of the Vice-Chancellor and the Centre for Communication Studies (CCS) of The University of Guyana brings to you this Volume 2: Nos. 1 and 2 editions of Renaissance, a monthly newsletter. Renaissance is the Vice-Chancellor’s medium of sharing with you our University’s developments. In this edition we acknowledge the re-opening of the University for Academic Year 2016/2017 Semester II. As we approach the end of the h week of classes we hope students are settled and in full working stride, to have a productive and successful semester. Some of the new developments at UG include: an MOU signed with London South Bank University; a contract with the Ministry of Public Security’s Citizen Security Strengthening Programme and the Inaugural Diaspora Engagement Conference to be held in Guyana. Earlier this year a number of UG students and a few staff were affected by an apartment fire. We commend the University’s administration for their support to those affected. The Renaissance team had an opportunity to profile visiting Professor David Phoenix, Vice-Chancellor of the London South Bank University and Dr Penny Sibert, Guyanese Fellow at Nottingham University. We hope you enjoy reading their stories. Additionally, in February all Faculties participated in UG’s Open Career Day, showcasing students’ work, existing programs and new programs envisioned for the future. We thank all those hard working and dedicated staff and volunteer students for long hours spent in preparation for thousands of people who visited Turkeyen Campus on Career Day. As we approach the dusk of one year and the dawn of another and for those of us who follow the Gregorian Cal- endar that was introduced in 1582, the month of December occasions both retrospection and prospection. This dual engagement is even more important when December marks a milestone of some kind in one’s personal or professional pursuits. Mine is such a case, as December (14) 2016 marks the completion of my first six months as the Tenth Vice Chancellor and Principal of The University of Guyana. The UG to which I returned after my student sojourn during the 1970s was one that faced—and is facing—resource, esteem, and perspicacity stormy seas due to prolonged institutional neglect. Mindful of Tagore’s prescient proposi- tion, I have embarked on the building of a Renaissance Bridge to cross our stormy seas, rather than to stand and stare. That this is a herculean task is an understatement; we have been having to offer financial and psychological life jackets to some,while providing others with canoes of hope, both to avoid drowning and to get a glimpse of the land ahoy. All this is being done while assembling and positioning the human, financial, and physical infrastructure to build the bridge. Put differently, we have been having to ride the bicycle with all its imperfections while fixing it, something I anticipate we shall need to do for a while. From the outset, I sensed that the Renaissance Bridge requires four foundational pillars: Capital Investment, Aca- demic Enhancement, Economic Viability, and Alumni Engagement. Moreover, these must be tackled simultane- ously. We began doing this from Day I, with passion and purpose, facing and fixing, facilitating conversations that are uncomfortable to some and making decisions about which some colleagues are curious and others are critical. There have been many frustrations and challenges, some beyond the perimeters of Turkeyen and Tain, and it would be foolhardy of me not to expect more of these challenges in the future. However, I also have benefited from wonderful goodwill and support, which contributed to many notable achievements, some of which are highlighted later in this newsletter. Indeed, Renaissance is one of those achievements. 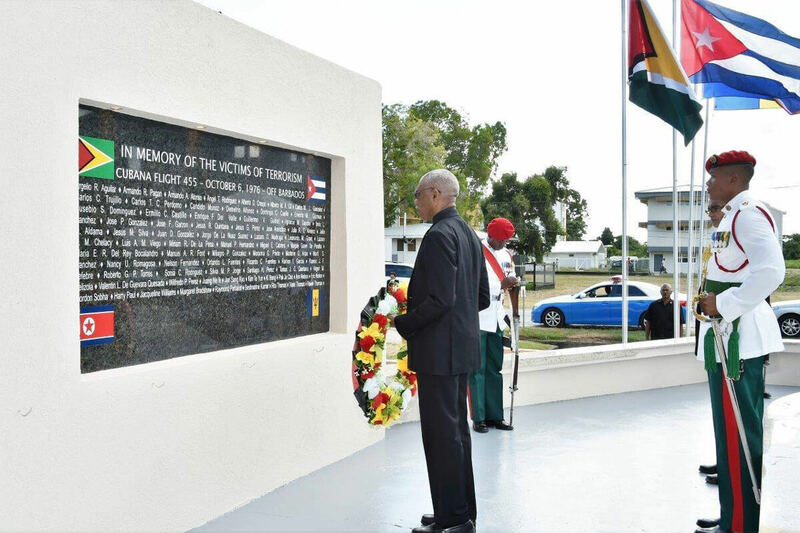 Permit me to take the opportunity here to thank the many individuals, groups, and companies within Guyana and in the Diaspora for the moral and material support provided so far. I anticipate needing to elicit more assistance in 2017 as we continue navigating our stormy seas and building our Renaissance Bridge. Special appreciation is extended to my loving wife, Francille, our children and other family members for their noted sacrifice and invalu- able support in allowing me to be away from the family as I make a needed contribution to my native land. Thanks, too, to the many friends within and outside Guyana for their advice, encouragement, and support. As I look toward the dawn of a new year, I ask that we stay the course in building our Renaissance Bridge. Best wishes for a Wonderful Holiday Season as we keep on keeping on! Professor Ivelaw Lloyd Griffith, B. Soc. Sci., MA, MPhil, Ph.D. The collaboration between the Office of the Vice-Chancellor and the Centre for Communication Studies (CCS) of The University of Guyana brings to you this fourth edition of Renaissance, a monthly newsletter. Renaissance is the Vice-Chancellor’s medium of sharing with you the developments and the areas of interest that need to be celebrated at our University. 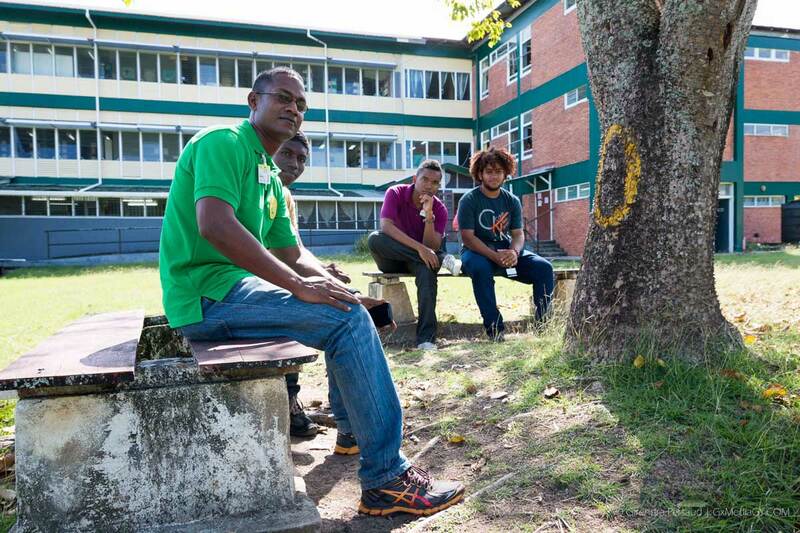 As Guyana celebrates its Golden Jubilee Independence, it is quite fitting the country’s most prestigious, tertiary institution celebrates its 50th Anniversary Convocation exercise. Dr Vincent Adams, Guyanese born, engineering giant working in the US Department of Energy, delivered the feature address at Turkeyen’s Jubilee Graduation. 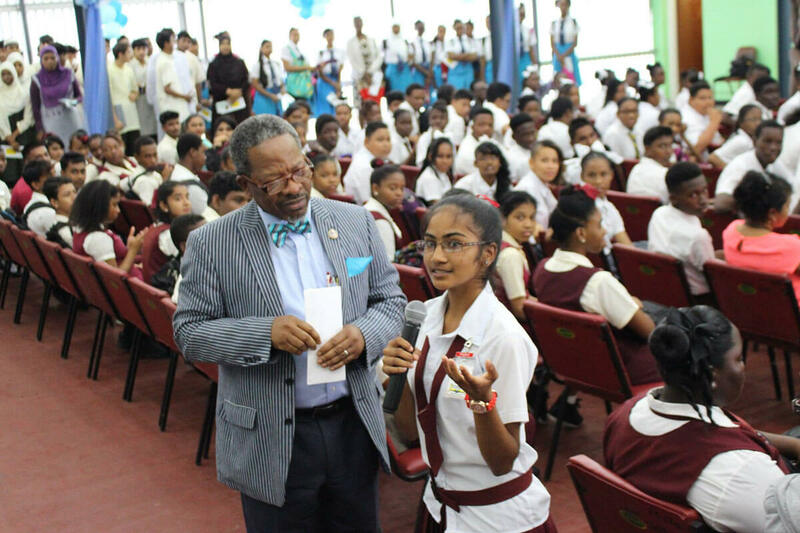 Our Berbice Campus also hosted its graduation exercise, with feature speaker Professor Jaipaul Singh. We hope you enjoy reading both addresses to the UG 2016 Graduates. Renaissance’s entire publication team congratulates all our deserving 2016 graduates. Because of your personal commitment to success, you are a part of this celebratory Convocation 50th Anniversary Year. Endeavour to become far greater than any circumstance challenging your future success. Graduates, we hope you become impassioned in your respective fields. Be motivated as you read of the UG Computer Science Graduates who won this year’s, first ever, Hackathon. 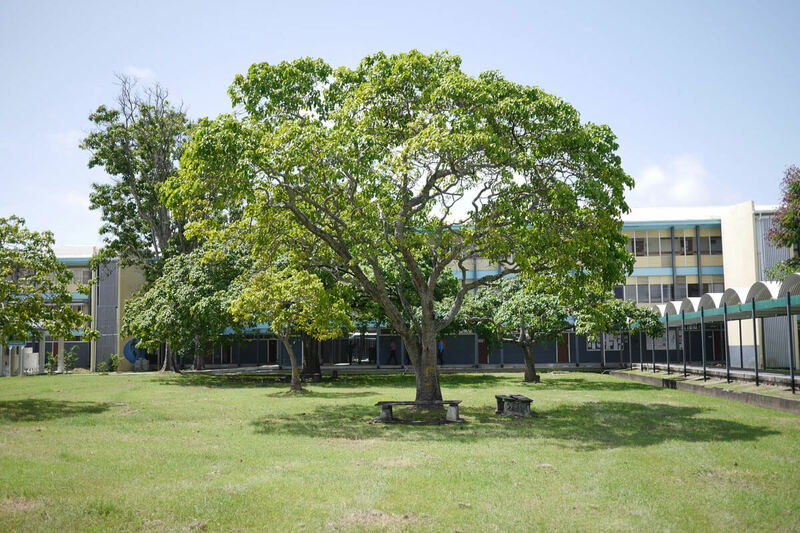 Renaissance has expanded to include articles featuring our sister campus in Berbice. Feel proud with us as you read of the students’ and lecturer’s accomplishments. Most of these stories are creations of our CCS student interns attached to the publication. CCS is involved in training students in the art of print, radio, television and online journalism; public relations; communication research, and consultancy. As you read, be inspired to join us as we celebrate with pride... UG’s Renaissance! Thee collaboration between the Office of the Vice-Chancellor and the Centre for Communication Studies (CCS) of The University of Guyana brings to you this third edition of Renaissance, a monthly newsletter. Renaissance is the Vice-Chancellor’s medium of sharing with you our University’s developments. In this edition of Renaissance, we hope you feel as proud of our graduates’ and lecturers’ achievements as we do. 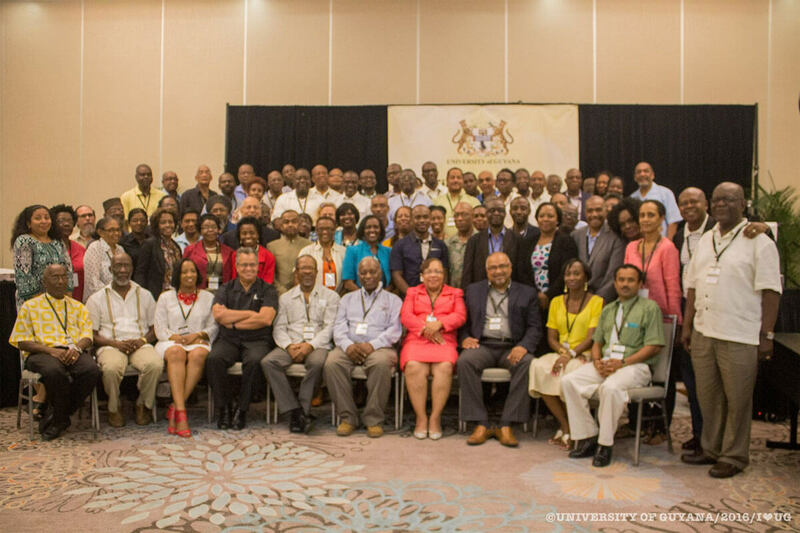 The University of Guyana (UG) participated in this year’s 13th Annual CANQATE Conference, which consisted of three days of seminars, panel discussions, and cultural activities. The conference covered a wide spectrum of quality assurance matters related to the issues of sustainability and development in the Caribbean region. Dean of the Faculty of Health Sciences, Dr Emanuel Cummings, and Medical Director, Dr Ronald Aaron, participated in the Beyond Flexner Conference in Miami, Florida. Equally impressive is Dean of the Faculty of Natural Sciences, Mr Calvin Bernard’s participation in the Convention on International Trade in Endangered Species of Wild Fauna and Flora (CITES) in Johannesburg, South Africa. 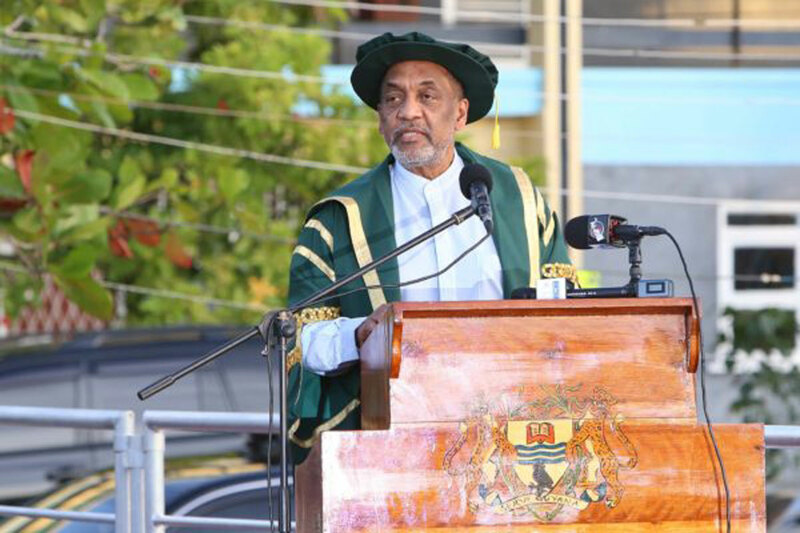 As Guyana celebrates its 50th year of Independence, it is quite fitting the country’s most prestigious, tertiary institution celebrates its 50th Anniversary Convocation exercise. This year’s graduation exercise is scheduled to be very special, with the feature address being delivered by Dr Vincent Adams, Guyanese born, engineering giant working in the US Department of Energy. All these stories and more are creations of our CCS student interns attached to the publication. CCS is involved in training students in the art of print, radio, television and online journalism; public relations; communication research, and consultancy. The Office of the Vice-Chancellor of the University of Guyana (UG) presents to you the second edition of Renaissance, a monthly newsletter. Renaissance is the Vice-Chancellor’s medium of sharing with you our University’s developments. This second edition focuses on the University’s strategic participation in fostering the national development agenda and our administrative changes. Additionally, you will be fascinated by the heights which our alumni have achieved. The Vice-Chancellor’s vision is for the University, the nation’s most prestigious tertiary institution, to become more resourceful and active. 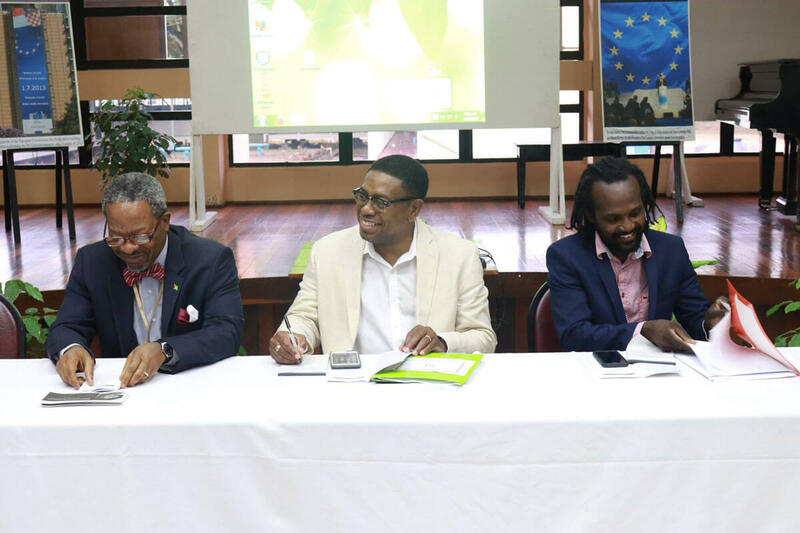 e collaboration between the Office of the Vice-Chancellor and the Centre for Communication Studies (CCS) of the University of Guyana seemed natural. CCS is involved in training students in the art of print, radio, television, and online journalism; public relations; communication research, and consultancy. Most of the articles in this edition are creations of our student interns attached to the publication. The Office of the Vice-Chancellor of the University of Guyana (UG) is pleased to share with you this first edition of Renaissance, a monthly publication that captures various facets of development surrounding the nation’s premier tertiary institution. In this edition we bring you retrospective and progressive perspectives from national and international contributors who are all alums and friends of UG. Renaissance takes you on a journey with footprints of the road travelled, pebbles picked up along the smooth but sometimes tumultuous terrain, and visions yet to be realised as we move through unchartered waters. Under new captaincy, the ship, UG, has set its sails steadily, resolutely, toward an onward, upward journey. For our next edition we invite you to submit news items, short articles, poems and high resolution pictures of activities related to the national agenda and consistent with the development trajectory of UG. Share with us how UG has contributed to building industry and livelihoods for citizens both at home and abroad. Our email address is vicechancellor@uog.edu.gy. Do share Renaissance with at least ten of your friends and send us their email contacts to facilitate direct mailing of future editions. We thank you for being part of this transformative initiative. Read, reflect and be inspired to join in the Renaissance!